Can we speak of healthcare systems in 20th century Ireland? Home » Podcasts » Workshops » Healthcare Systems Conference 2012 » Can we speak of healthcare systems in twentieth century Ireland? Can we speak of healthcare systems in twentieth century Ireland? The term ‘healthcare systems’, is a concept that emerged in modern management. There are real dangers in applying it retrospectively to retrofit a coherent structure on medical institutions that emerged over centuries because of initiatives by individuals, religious communities or municipalities. The health services provided by the Irish Poor Law can be seen as the first Irish ‘healthcare system’ – with defined geographical and administrative structures and criteria to determine eligibility, but this system was never wholly separate from the provision of private medicine. Many dispensary doctors supplemented their income by attending private patients and other institutions outside the Poor Law medical system. Although the Hospital Commissioners – the state agency established in the 1930s to allocate the money accruing from the Irish Hospitals Sweepstake – can be seen as recognising two distinct streams of hospital and institutional treatment – voluntary institutions, and state institutions – the term ‘systems’ implies that each was viewed, not as a series of individual institutions, but in a more systemic manner. Yet there was considerable competition between voluntary hospitals, and the relationship between voluntary and local-authority hospitals was not clear-cut. Patients transferred readily between the two, as did staff, and in some instances treatments were duplicated unnecessarily between the two, and state-funding for patients was provided in both sectors. It is also apparent that both hospital sectors offered scope for initiatives with respect to treatments and diagnostics by medical practitioners – though this freedom was undoubtedly greater in the voluntary than in the local authority sector. Most of the critical initiatives in medical treatment such as coronary by-pass surgery, advanced renal treatment, or preventative measures against coronary diseases originated in the voluntary sector, as did initiatives regarding the care and treatment of mentally-handicapped children. 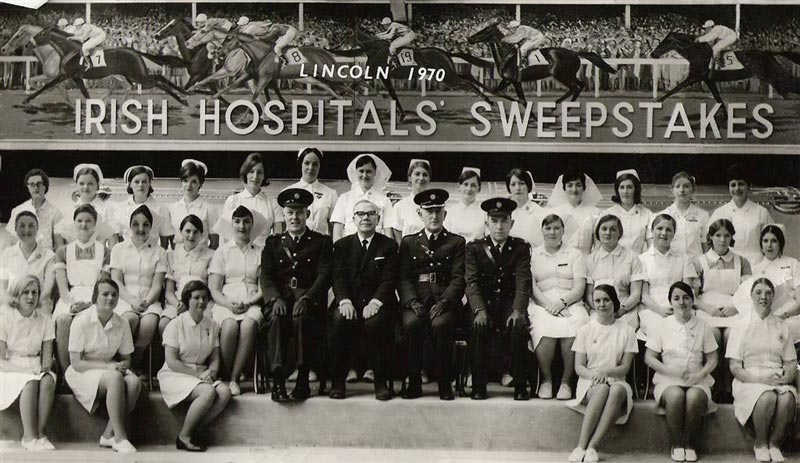 The fact that clinical training of medical students was almost entirely concentrated in the voluntary hospitals gave those hospitals a status in the hierarchy of services that the local authority hospitals could not attain. One question raised in this paper is whether the Department of Health and the Irish health service in general, implicitly left voluntary hospitals with primary responsibility for innovation within Irish hospital medicine? Although the Hospitals Commissioners in the 1930s planned for a hospital system that would have combined the resources of voluntary and local-authority hospitals, this was never 9 implemented, and in the subsequent decades voluntary and state hospitals were treated as separate entities to the extent this it is impossible to find data giving the total numbers of hospital beds, hospital medical staff or patients treated in Ireland for these years. The FitzGerald Report ,1968, was yet another attempt to co-ordinate both types of hospital in a coherent fashion, but the ensuing opposition (mainly from the county hospitals and their supporters) meant that this did not happen, and the new health reforms introduced in 1970 – which saw the establishment of Regional Health Boards – left both sectors with separate funding streams.